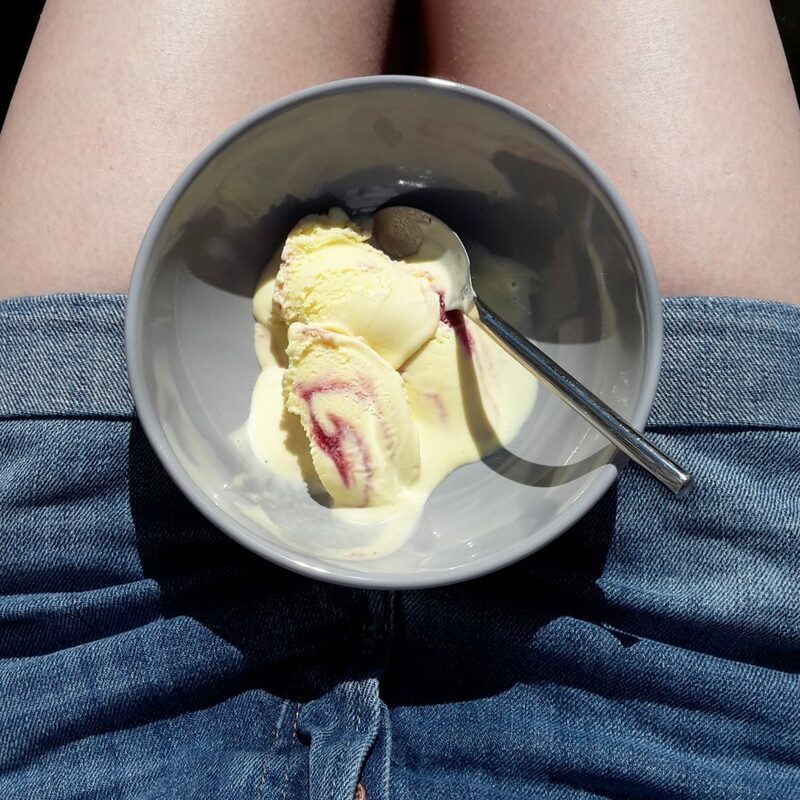 So at long last, we have a few days of summer which means it’s finally time for some Haagen Dazs ice cream! I know I shouldn’t complain as we’re quite used to cooler temperatures and overcast days in the summer months but to have a few days of high 20s warmth feels like an incredible treat and long overdue. 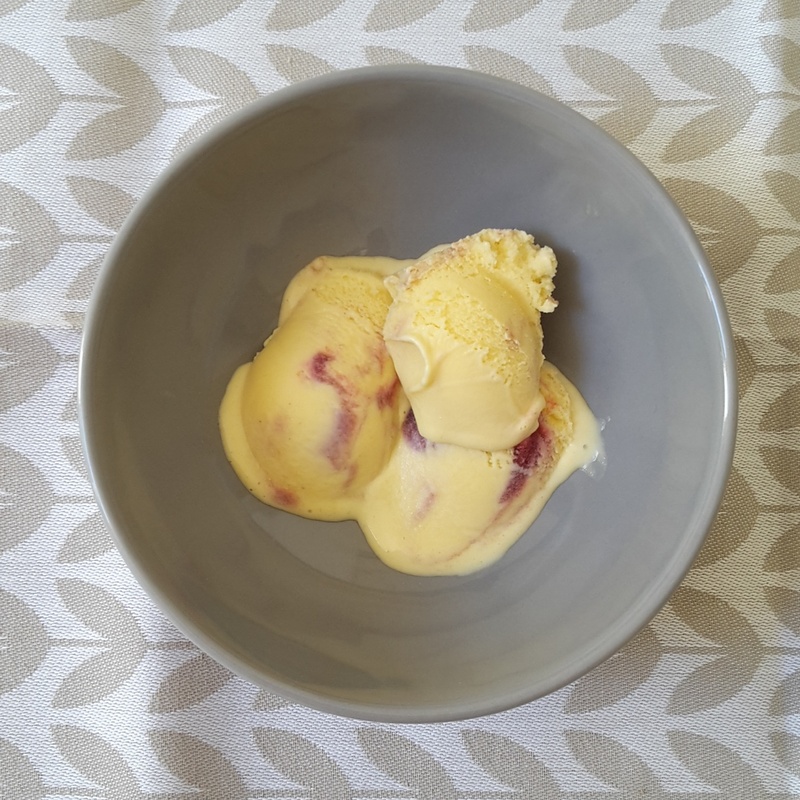 A little while ago and during my epic norovirus sickness, Haagen Dazs very kindly sent me two tubs of one of their new flavours, Raspberry and Mango. It was the perfect little delivery to cheer me up and although I didn’t feel like any at the time (because eating is not on the agenda with stomach flu!) I knew I’d get better and the sunnier days would come. 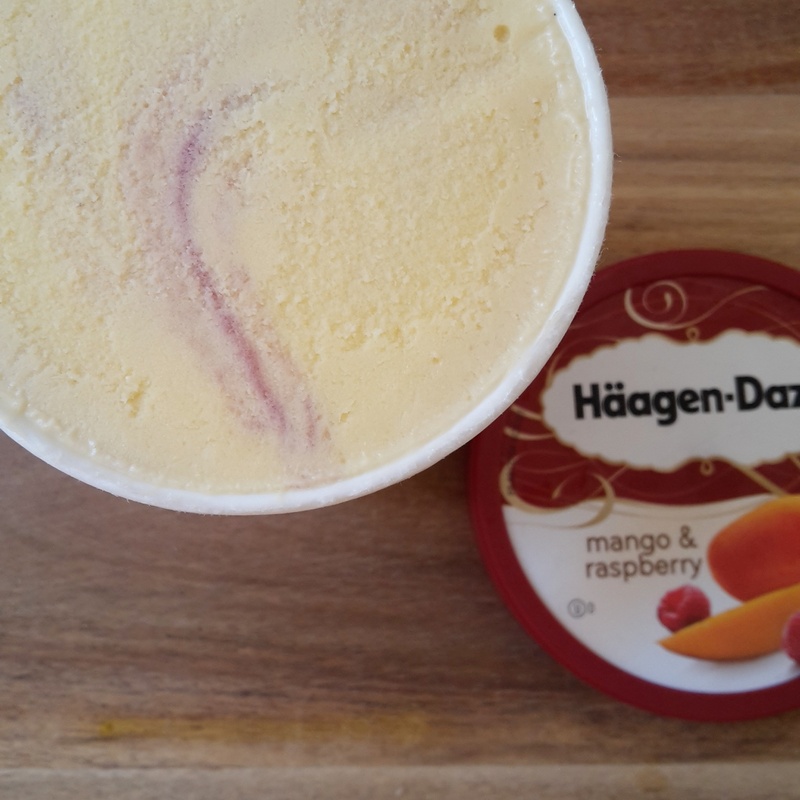 Normally with ice cream I tend to opt for all the chocolate/caramel based flavours rather than fruit but this is so good, a flavoursome mango Haagen Dazs ice cream with swirls of raspberry making it a refreshing and tasty summery treat. Of course it’s now so warm that it was almost impossible to take any pictures before it started melting so I decided it was time to kick back and enjoy. I hope whatever you’re up to you’re able to catch a ray or two of sunshine. Thank you to Haagen Dazs for sending me some complimentary ice cream. All words, opinions and images are my own unless otherwise stated.